Sift flour, spoon half into the base of a clean, dry wide mouth mason jar, layer half of the sifted cocoa on top of the flour, then half of the castor sugar and finally half of the baking powder. Split vanilla bean in half if you wish (I did), poking each piece down the side of the jar but against the glass so you can see it from outside. 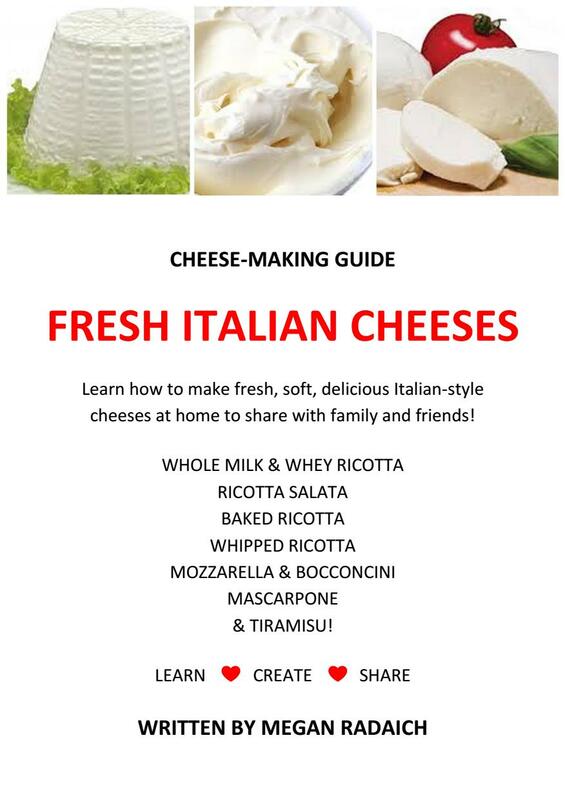 Repeat with remaining ingredients to make a second layer. 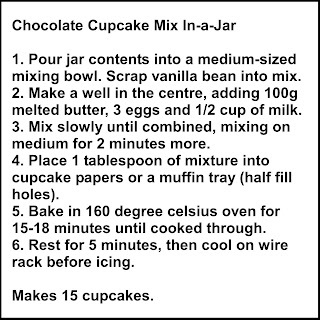 For patterning, gently slide a wooden skewer down the inside of the jar several times until the cocoa mixes with a little of the flour/sugar to make a nice print. Add seal and twist ring on tight. Label lid and add fabric cover and instructions. 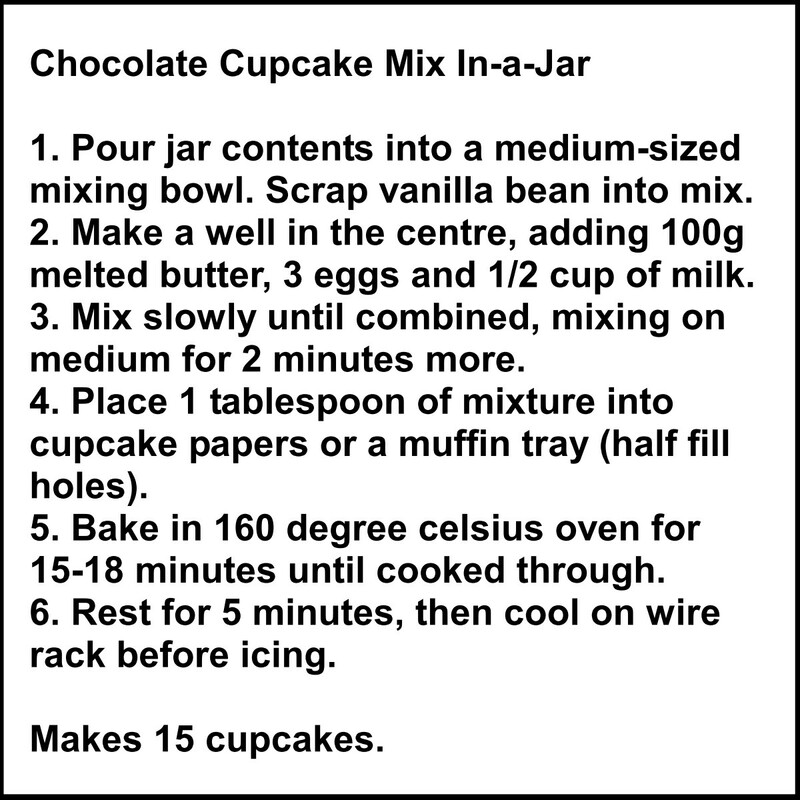 Variations: Add a few tablespoons of chocolate chips or other flavouring of your choice.